The latest Game of Thrones trailer not only revealed that the Season 8 release date (April 14), it also offered a few hints at what everyone’s favorite Starks might be up to in the show’s final episodes. While Jon Snow, Sansa Stark, and Arya Stark make their way to statues of themselves in the crypts of Winterfell, we hear quotes from their relatives — and they’re all about Jon Snow. Here’s why you remember each of these lines, who said them, and what they might mean in Game of Thrones Season 8. First, we see Jon walking by a statue of Lyanna Stark, who we previously learned is actually his mother. Until recently, we had assumed Lyanna was Jon’s aunt and Ned was his father, but the previous season finale confirmed a popular theory about Jon’s true origins. “You have to protect him,” Lyanna says. The line is originally spoken to a young Ned Stark when he arrives at his sister’s side just after she gave birth to Rhaegar Targaryen’s child. At that point, there was nothing Ned could do except be there to hear her dying words as she made him promise to protect her son. What does it mean? Beyond the implication that Jon still needs protecting (possibly because he’s the key to stopping the Night King), it also implies that just like the audience learned his true origins in Season 7, Jon himself may learn who his parents really were in Season 8. What that means for his relationship with Daenerys (who is actually his aunt) and his claim to the Iron Throne is still up for debate. Again, we’re talking about Jon Snow. Catelyn said those words to Robb Stark’s wife, Talisa, in Season 3 Episode 2. She spoke about sitting at Jon’s side when he was sick as a boy. When she first saw him, she had prayed for his death, but once he fell sick, she prayed he’d live. She even promised to love him, be his mother, and beg Ned to call him a Stark. But that was one promise she couldn’t keep. What could this quote mean for Game of Thrones Season 8? Partially because of his status as an outsider, Jon managed to survive many of the horrors that afflicted the rest of his family. The statues of Jon, Arya, and Sansa at the end of the teaser seem to suggest that he could outlive two more of his remaining siblings. The fact that Sansa specifically walks by Catelyn’s statue may also suggest that she could face a similar fate, though we hope that’s not what happens. That quote comes from Season 1 Episode 2. 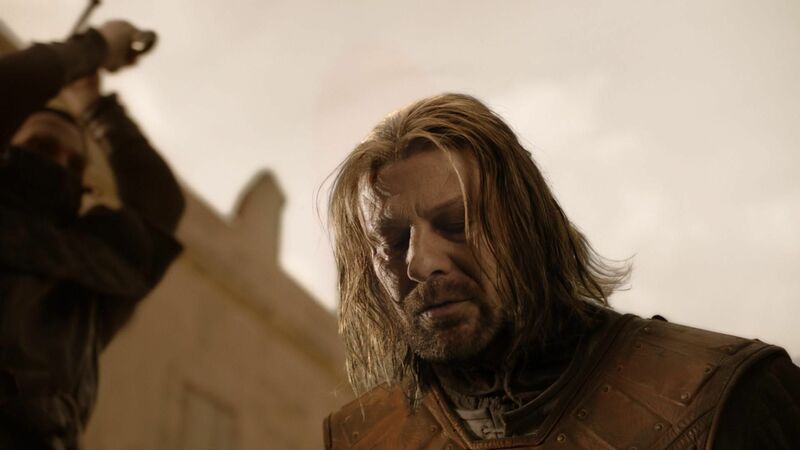 As Ned left Jon, he told his son nephew that the Starks manned the wall for thousands of years. Ned also said he’d tell Jon about his mother the next time they saw each other. Sadly, they never had that chance. As we’ve since learned, Jon does have Stark blood in him. Let’s just hope that just because he shares some similarities with his uncle doesn’t mean he’ll die the same way. Then again, in a battle against the Night King, being beheaded by Joffrey is actually starting to sound pretty good. Related video: How new Game of Thrones Season 8 footage matches up with the very first episode.